Everything you need to get your blog up and running is all here. 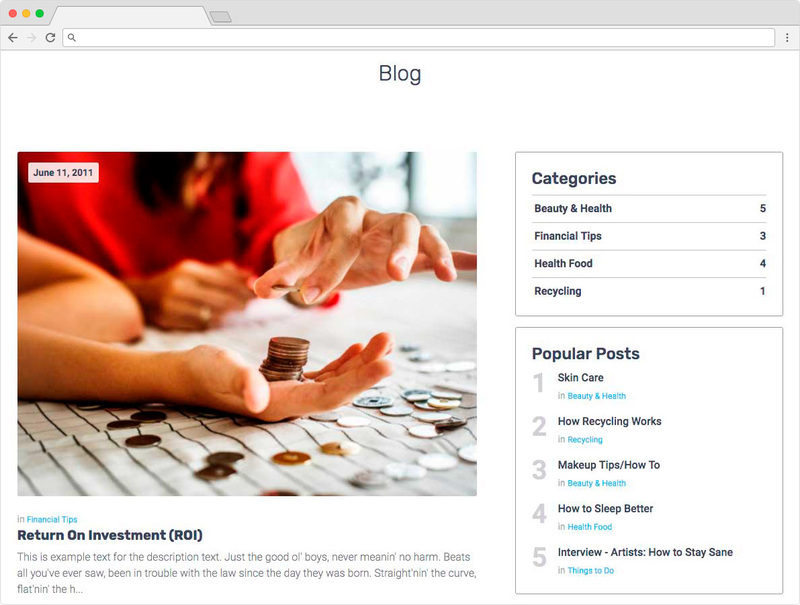 Share important information with your user base, interact with the built-in commenting system, and see what your user base is really thinking all within our Blogging System. Blogs are a great way to build readership and complement your directory listings. eDirectory includes a full-featured, search engine optimized Blog Module. The carefully crafted designed Blog Module is an attractive showcase for your content. Create engaging reader experiences by adding photos and even HTML elements in your posts. Use the Categories Feature to merchandize your content, keeping readers coming back for more.